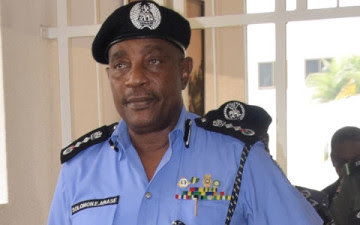 Immediate past Inspector General of Police, IGP, Solomon Arase, has put a lie to claims that 19 assorted vehicles belonging to the police were recovered from him even as he raised the alarm that some forces were bent on tarnishing his image. The ex-IGP’s reaction is coming on the heels of a similar one on July 18 this year and following another media report that 19 out of 24 vehicles he allegedly took away upon retirement had been recovered from him. In a statement issued yesterday, Arase warned that he would not hesitate to seek legal redress if those desperate to tarnish his image fail to desist. “It is embarrassing for me to wake up on Monday morning (yesterday) to be inundated with calls and messages on purported 19 vehicles recovered from me. I wish to reassure the general public that there was nothing like that. Like I said in July, I did not take any police vehicle with me outside what I am entitled to, and so, there couldn’t have been any vehicle recovered from me. If there was any such, those behind this campaign of calumny should please, make the number plates of the vehicles public and where they were recovered from. “Rather than dissipating so much energy on ‘project drag Arase down’, I urge those behind this evil campaign to face their official responsibility for which much is expected from them by the nation. I have done my bit and my own records bear me witness. Let those daily frightened by the shadow of Arase learn to face reality and stop chasing shadows so that they are not hunted by same”, the ex-police boss stated.